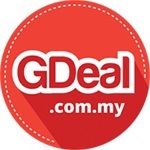 The multi function camping tool kit by and also will prove extremely useful for adventurous people, who like to go camping or trekking on a regular basis. As all the tools easily fold into the functionally designed holder, this tool kit can easily be stored and carried around in your bag. As these tools are made using forged iron, they are totally rust-free and quite durable. 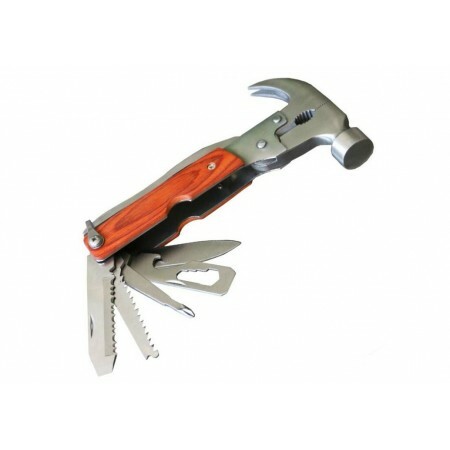 To enable users to use any of the tools comfortably, a sturdy, premium handle has been included in the design of this camping tool kit.Using the and also multi function hammer tool kit will enable you to do a lot of things, like opening bottles, chopping or sawing branches to build a fire, screwing in nails or tightening screws, etc. One of the tools included in this kit is a hammer, which can be used to drive your tent's pegs into the ground. Other tools include an axe, a saw, a wire cutter and needle nose pliers. This multi function hammer tool kit also comes with a super useful Philips head screwdriver and another hexagonal screwdriver. Multi use includes: safety hammer, ordinary pliers, spike knife, screwdriver, bottle opener, chisel,etc. Made of stainless steel and Rosewood Handle, durable and portable. Perfect for camping , outdoor activities or simple household fixes. 8 in 1 multi-function, 12 Functions Total and comes with a nylon-canvas sheath for carrying or storage.